When I told friends I was going to be training with British Military Fitness, I was met with a few raised eyebrows and 'good luck - you're going to need it' type messages. Such is its fearsome reputation. 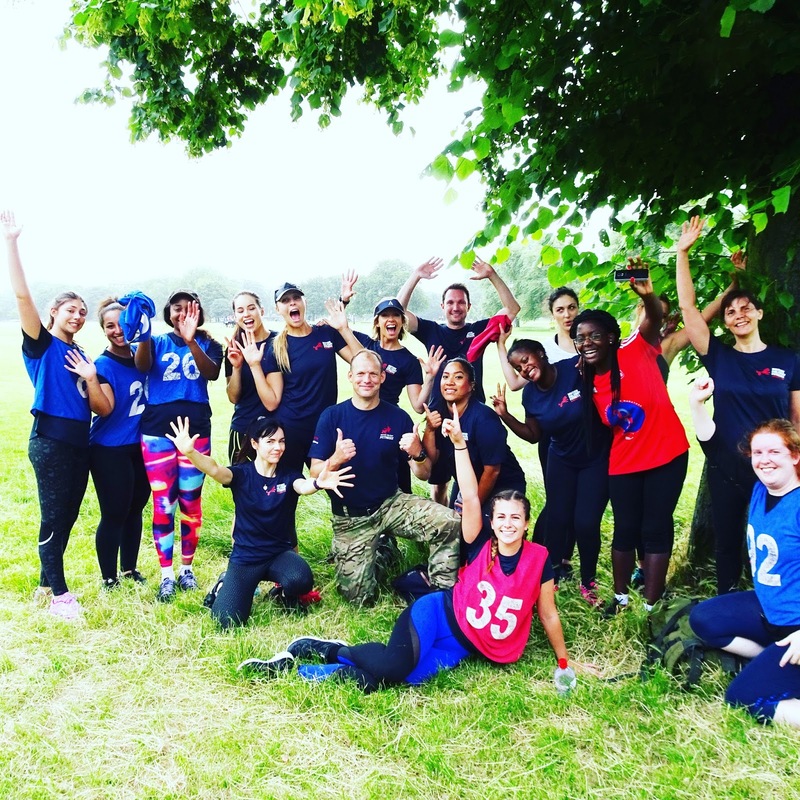 The BMF is outdoor fitness run by former and currently serving British army personnel. It was the first of its kind when Harry Sowerby founded it in 1999, and the format has since been copied widely (they say imitation is the sincerest form of flattery). 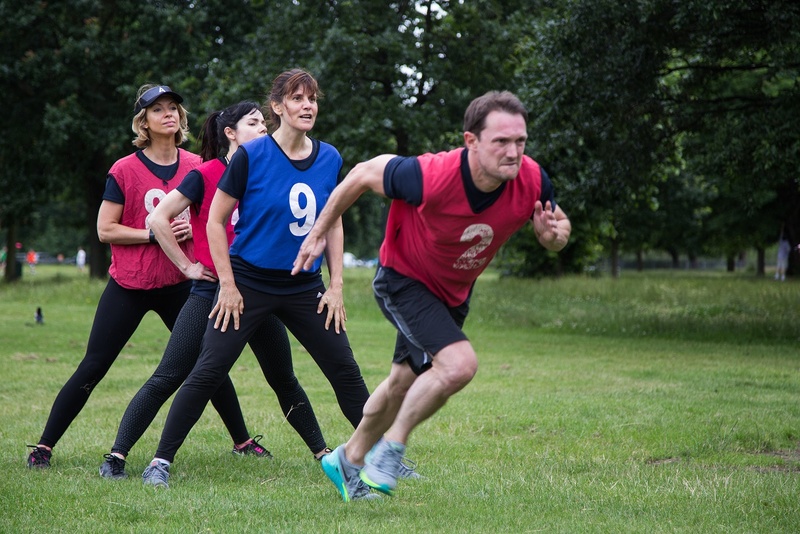 Today it holds sessions in more than 140 parks nationwide, including Clapham Common, one of the larger centres and the location of a Sunday blogger event two weeks ago hosted by Harry (if you follow me on Twitter and/or Instagram – Face Up Fitness/Face Up Beauty - you may have seen some of the pics I took on the day). BMF’s reputation for toughness undoubtedly stems from its roots (think army training drills and boot camps). But it’s a perception BMF is keen to challenge, saying it’s open to all. 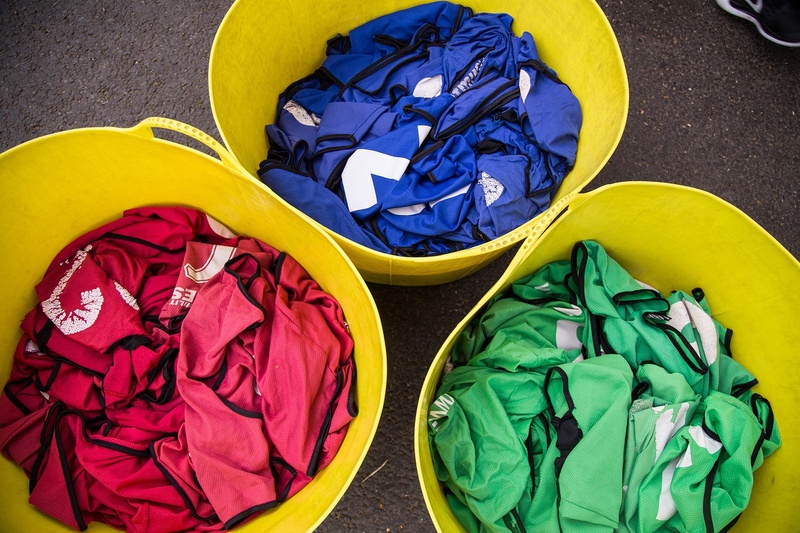 Classes are divided into different ability groups (hence the different coloured bibs below) and you don’t need to buy any special kit – BMF provides everything, even the water! Simply turn-up in suitable clothing (T-shirt and leggings will do) and trainers. 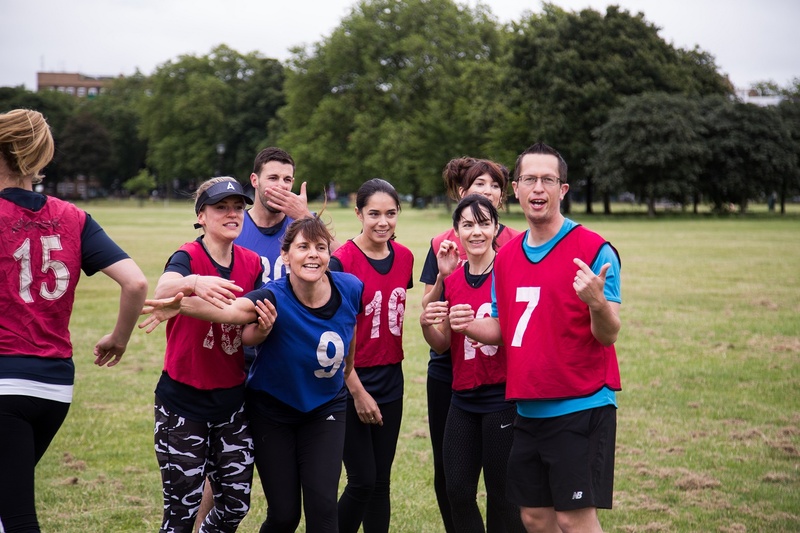 There's a social element too, including extra-curricular events where members can get to know each other better outside of a fitness setting - hey, there have even been marriages within the community! There are currently 13,000 BMF members nationwide. If Sunday’s blogger session is anything to go by, then I can vouch for its inclusivity. Yes these cardio and bodyweight exercise sessions will challenge you, but don’t fear them. 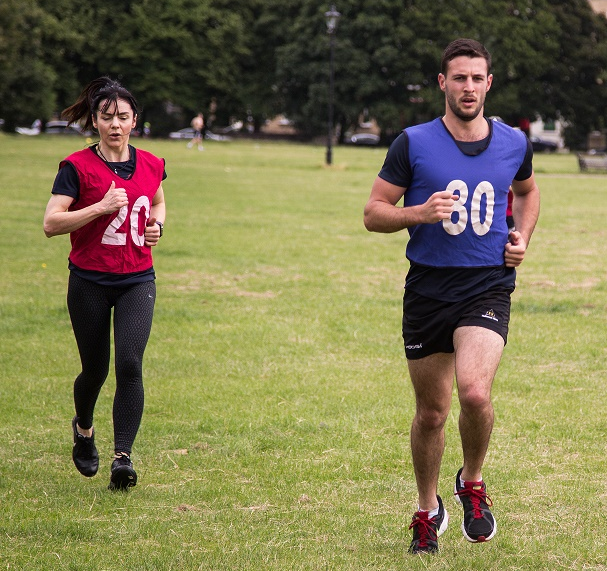 If you’re the social type and like being out in the open, BMF could be the kick-start you need to get fitter. I’m not the outdoorsy type, I have an ongoing hip problem and I’m not the best at team sports. On paper I’m a match made in hell! Similar? Don’t worry. By the end, none of these mattered! First you fill-in a health questionnaire. The instructors won’t let you lose on the field until it’s completed and they are firm in telling you to stop if at any point you feel pain or get out of breath. It’s important to respect your body, so never feel embarrassed to duck out – everyone is so focused on what they’re doing that no one would notice! Health questionnaires done and off we went, a slow jog to the start in the pouring rain (thank you English Summer). We jogged clockwise, anti-clockwise, we had to touch the ground with various bits of our anatomy. 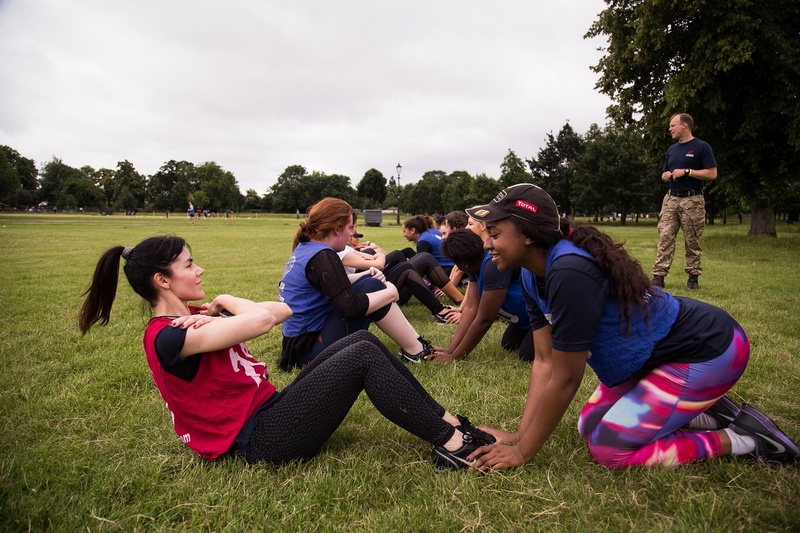 There were knee highs, jumping jacks, press-ups, group activities (including lifting a fellow member above everyone's shoulders), squats and mountain climbers – and this was just the warm-up!. 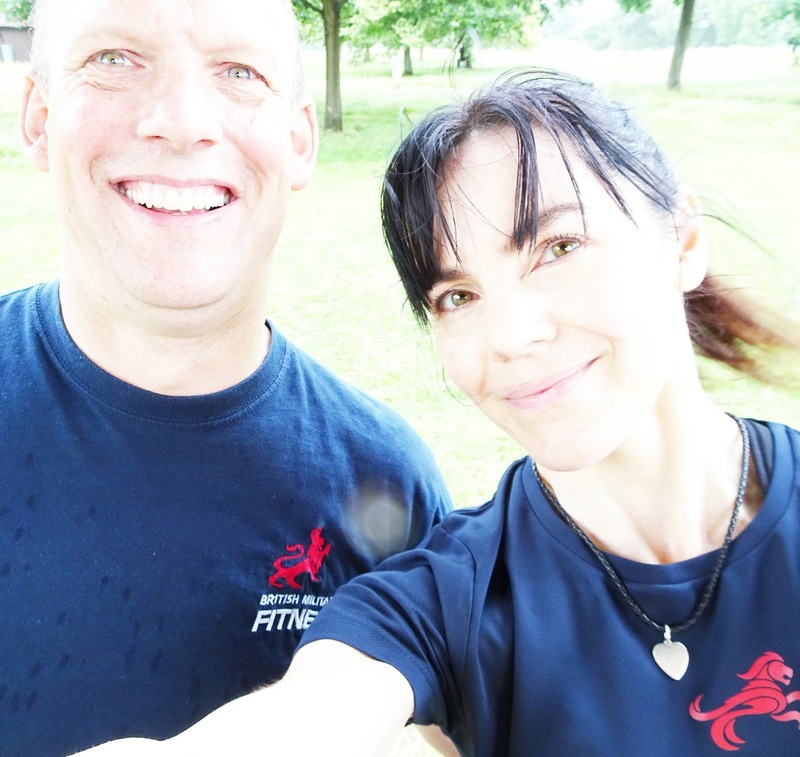 Later we ran to various tree markers, did a press-up or two (OK, more), and variously returned skipping, lunging or running backwards, then on to more press-ups, burpess and planks. There was friendly competition (running races and relays), paired partner work, scrambling low through human tunnels. I was feeling the burn in my abs, legs, shoulders… yep you got it, this is a full-body workout. 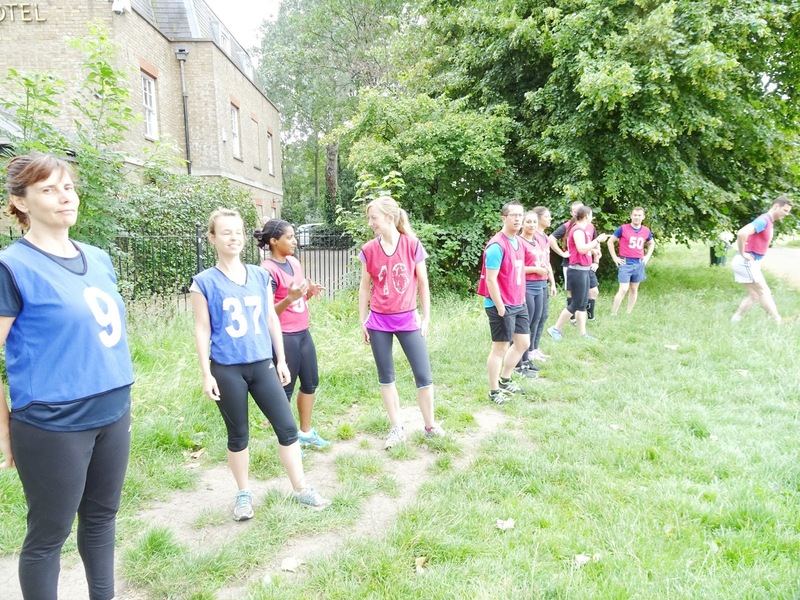 To finish we split in to two teams for a ‘friendly’ game based on netball (my team won, yay!). What there wasn’t: shouting and military drills. The emphasis was on fun and firm encouragement, with Harry’s reassuring words constantly ringing in my ears: ‘quality exercises’ and ‘just do YOUR best’. We ended the session in the perfect way – by feeding our faces. 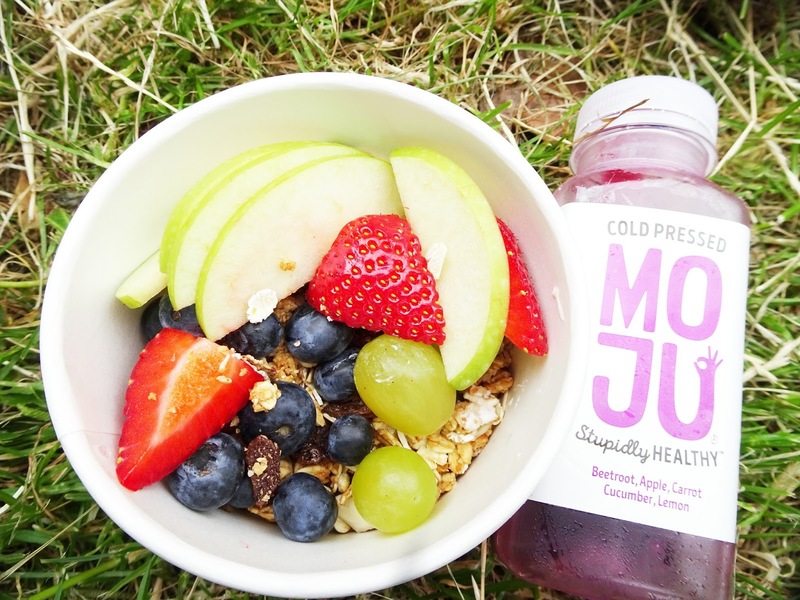 The brunch, I hasten to add, was healthy – check out Oppo Ice Cream, BrickwoodLDN, Moju Drinks and Moma Foods. We also took home a rather fancy water bottle and sun visor by Active In Style, who co-hosted the event. You can join BMF from £27/month (1 session per week), from £32/month for unlimited membership or buy a block of ten sessions from £110. An initial taster session is free. Further details on the BMF website here. Wow, dear Tracey, wow! Back from blog maintenance, finally! And what foe a great post! You and Harry look great and I loved the pictures! The training looks great and I wouldn;t be someone saying "good luck, you'll need it", on the contrary - I have a lot of respect and admiration for what you do, cause I think I couldn't! So I admire the training even more! I liked the blogger day, for military training, it sound great! It's also good that the staff say "stop" if you feel pain! It is the right approach, I think. In the past I used to practice some sports, but suddenly my lack of vitamins makes me feel so "weak". Let's see if I can change it in the near future :) Hope you are fine! Great blog, I stumbled across BMF via a well known company that rhymes with Coupon just over a year ago. The only fitness I had done prior was swimming. Taking up BMF has been the best thing I've done in terms of fitness. At the start I felt quite apprehensive at the thought of trying to attempt any sort of physical activity let alone numerous reps of different things. How wrong I was, the instructor is the most valuable part of the experience because they teach you about form and also give you alternative methods or exercises to complete if you struggle. The added welcoming atmosphere at the park I initially became a member of added to the experience. Lately, I've taken part at different parks and each one is a mirror of the last. BMF has given me and new found confidence and stamina I never knew I had, this year I have completed a number of different running/OCR events and can honestly say at 30 (I know some might say it's no age, but taking up a physical hobby is different in later life than when you're a child) it's the fittest I've ever felt.